Discussion in 'Downhill & Freeride' started by djamgils, Jan 23, 2008. I am thinking about this for a while but I need some numbers so I can calculate something and stop the speculating. I am thinking of havind a motor with a crank arm atached to the shock. When the motor turns round the shock will be compressed and extended. 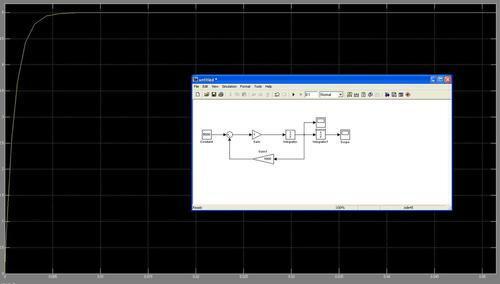 I am thinking of measuring the voltage and amperage of the motor together with the motor data this gives me the force. And with a light switch on two points above and under the horizontal line to measure the elapsed time between a given distance gives me the speed. they only need about 2kW. But they only get to a shaft speed of 0.318m/s and a maximum force of 5700N. But this is probably for a car shock. So what is realistic for a bycicle for the shaft speed and maximum damping force? I recall somebody saying the reached fork shaft speeds of 5m/s but with a leverage ratio of 2.5:1 this would be only 2m/s for the shaft speed of the damper. But then I still get 10kW required motor power. But here you excert a certain amount of power and measure the elapsed time. This wouldn't give you the regular dyno layout with Force on the y axis and speed on the x axis. I think this cheaper dyno is only to be used to verify wether a rebuild has been performed correctly or wether a shock is damaged or not working properly but it won't give a usable dyno read out would be my guess. I hope you guys understand what I want to do and maybe somebody else has did it before so give me some advice. Because I am becoming a crazy scientist, seriously I am studying at a university in the netherlands so I am actually becoming a scientist. I just want to be able to see what effects te settings of a shock have and want to compare different shocks to each other. would make bedding in shocks a hell of a lot easier, just leave it on one a them overnight and youd be good to go. i dont have any data to add to the thread, but try and pm mttytee, he used to work on 5th element working on the dynos. why do you want to use a motor? i think this would just complicate things. why not just a hydraulic piston? it makes things a lot easier, then you can measure the pressure and hence the force directly from the oil pressure and the shaft speed would be easy from then on. only down side is that it may not work cyclically as well as a motor, but i am sure you would still be able to get the shox pretty hot. you can look into finding some old aircraft hydraulic systems. the way they are controlled the controller knows the exact position of the piston, and the speed. all the date you need really. as for writing the programming interface, i cant help you there. but i am sure it wont involve that complicated programming, its basically C++ programming. i am sure you can find some computer guys to help you out there. I have a air compressor at home so now I am thinking about copying the http://www.shockdyno.com/howitworks.html . I want to use 2 cilinders with a pressure regulator and a manual valve. So I can create a certain pressure and then open the valve. Because of the air tank volume the pressure wont drop too much. And I measure the time needed to travel from 15mm to 45mm so I dont have start and stop irregularities. The measuring of time wil be done by a mechanicaly actuated stopwatch. Just have to find out where I can buy 2 cilinders for not too much money. Dude, give me a mail and describe what air cilinders you would like to have. Stroke in mm and perhaps how big they should be. Or how much force you want to have. Just give me your wish for a cilinder. the problem with the one you are thinking about now it that the shox will have to speed up from zero to a velocity. (sorta like terminal velocity. until the force=the drag) and i dont think that would give very good readings or data. it doesn't help that shoxs like the dhx are both position sensitive and speed sensitive. you also wont be able to test a 5th element that way since its only position sensitive. you could however produce a force-displacement graph with the 5th element by slowly increasing the air pressure and taking measurements of the displacement. my calculations could be incorrect but just take a look at them. Assumptions, Max damper force is 5000N max shaft speed is 5m/s Displaced mass is 1kg. Or did I make a mistake? I conclude that the shaft will be up to speed at the 10mm point. From the information you've given I'd agree with that, provided the damping coeff does not change with displacement/acceleration - though I'm not much further down the line than you at this stage. I'm analyzing the displacement of the shock while in use - and have been using this information to alter the setup 'blind' with no reference to any other factors. Its amazing what peoples bikes do, and how differently they perform. I'm expanding upon this by adding data regarding the mass center of the system (not easy!!) - and once this is complete hope to be able to extract much (though with less accuracy) of the same information that a dyno would be able to. Linking this data into simulations of the bike (using Labview and some C) that I have been working on should provide some very interesting output. Do you need to measure the force? Or could you use a consistent force and measure the speed? If so, either an electromechanical motor or pneumatic motor, similar to a jack hammer could be used to provide the motion, whilst a linear tranducer with 4-20mA output and a data logger could measure the cycle speed as the unit heats up/changes are made. Just an idea, really depends on the kind of funding you have. At the moment I have zero funding so there is a problem. But maybe volcomjerk can sell me some cilinders for a little money. Also to save money I am going to make the construction out of wood. I will make some drawings soon and show them.